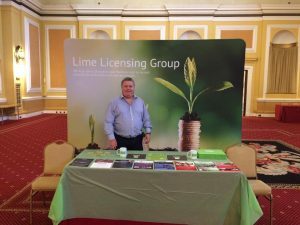 Start your own Lime Licensing Group Office – we have one of the UK’s best consultancy franchises! If you are an experienced professional who can comfortably work at MD/Owner level then there may be an opportunity for you to join us here at Lime Licensing. There are a few unique opportunities for entrepreneurs to run one of our regional consultancy franchises. Already proven in several regions and based on 26 years of expertise you could join us providing industry-leading franchise consultancy solutions. You’ll work with every type of business in a large and exclusive region of the UK providing a highly valued service that has had consistent rising demand even through the last few recessions and the credit crunch. We act as retained franchise specialists for our clients and deal with enquiries and meetings on their behalf. Part of what Lime does is also providing specific consultancy solutions, training and advice. We’re very much a “go to” resource for franchisors, particularly those looking to launch a new franchise network from scratch. Consultancy franchises come and go and can be quite difficult to learn, but most of what we do can be taught and what you’re not capable of doing right now can be provided centrally until such time as you can facilitate it yourself. Lime’s Head Office has an extensive franchise inventory that fits every eventuality and is unique to Lime. By joining us you’ll benefit from Lime’s great marketing prowess. For example, our website has numerous page 1 / position 1 google rankings for the main keywords and phrases we want to be known for. We also have an extensive marketing inventory that includes printed and online marketing and PR. We also do local and national business events either with our pop up banner (pictured) or our Lime shell scheme. Lime exhibits at events like the International Franchise Show where Andy Cheetham is usually a speaker. You’ll work with your other franchise colleagues on our own stand and also our clients stands too. We are very secretive about exactly how we do it. Over many years now we have seen other franchise consultants and consultancy businesses come and go. Our “secret sauce” has been created through decades of hands-on experience as franchisors ourselves. We’ve become the trusted advisors to many franchising entrepreneurs. To be successful you’ll need to be able to win the trust of business owners and prospective franchise owners. It’s essential that you can cut it in the board room and on the factory floor. If you have the gravitas to deal with people from every background at every level then we need to talk. By joining us you’ll provide a more local solution than we can do from our current office network. We’re looking for people to join our team in Scotland, Ireland, the South of England and North West England to complement our existing offices in Wales, Yorkshire, Cambridgeshire and the West Midlands. You’ll need to work hard of course, as you would in any other business and our clients rely upon us to provide the guidance and tangible support they need to create compelling franchise systems and also to recruit a large national franchise network. So this franchise opportunity is not one that anyone can just rock up and buy, we value people we get on with, and people we can trust, and we’ll look after you if we work together. However, it is true that we’re probably the fussiest franchisor you’ll ever meet when it comes to who we’ll offer a franchise too! You’ll get great training, spread out at a pace that suits you. You’ll also be personally mentored by Andy Cheetham and learn from Richard and Kevin our first two franchise owners. The rewards are significant with a well above average executive income potential. It’s also a great fun business working with entrepreneurs at every level. You’ll need to be able to fund an investment of £22,500 and you can expect to be into cash flow in month two. Once up and running a six-figure income potential awaits. In the first instance please give Andy Cheetham a call on 07782 115993 or contact us using the form on this website and we’ll arrange a preliminary discussion or meeting to explore the opportunity.